In the days of pioneers and early settlers, log cabins and barns were built from whatever lumber was native to the area. Using nothing more than an ax and local artisans, they would shape the logs and arrange them in such a fashion that they could stand on their own. Due to age weathering and obsolescence, many of these historic buildings are being torn down to make way for modern buildings, giving us a chance to reuse that wood elsewhere. For those with a knack for using materials with history and character, Wayne's Barn Wood is the prime choice. We offer antique hand-hewn wood beams to be used in ceiling, shelves, mantles, rafters, banisters, and more. The solid wood beams we find and provide our customers come from structures dating back to 1850 and older. These pieces still provide a warm, rustic, and cozy aesthetic that is impossible to replicate with new wood. Today, we have a wide choice of building materials to be used in construction or renovation. 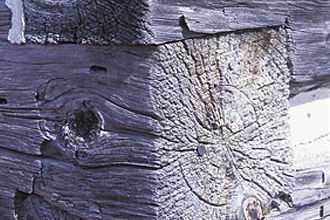 Wayne's Barn Wood has an extensive inventory of antique hand-hewn and cut wood beams for those seeking a unique style. Those customers who want a more polished or finished look will have a variety of choices with our many treatment options.